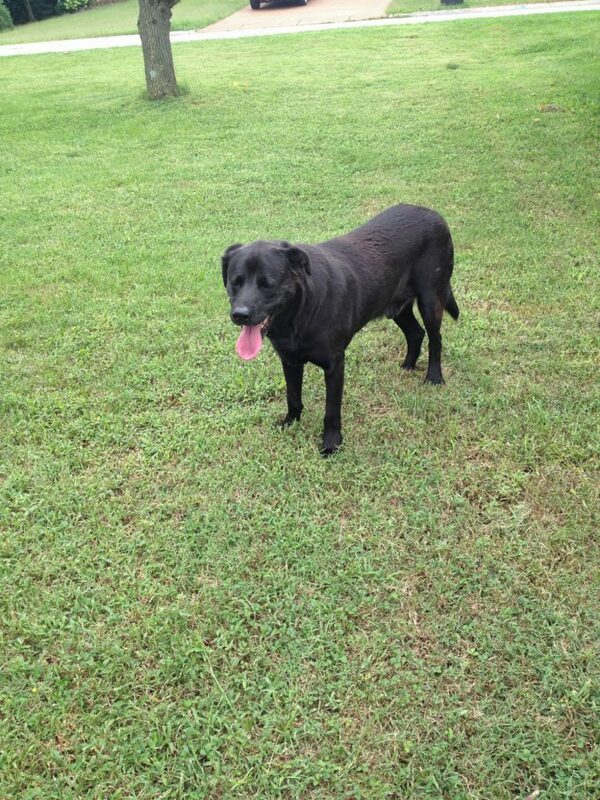 And there was this very pretty black dog in our yard, no collar. We live in a subdivision attached to 2 other subdivisions, so it isn’t abnormal to have a dog roam our yard that got loose from their own. We got home from the store, and he was still there. Later that night, we left for small groups, and when we got home, STILL THERE, laying in our front yard, whimpering. He’s a sweet fella. A little skiddish and scared. We had to make a decision last night… we live backed up to a really road and my heart hurt at the thought of him getting hit, so we went ahead and put him in our backyard. I posted to local FB groups, hoping to locate the owners, but all I found is that the dog has been roaming around our neighborhood for the last two-three days! While we would LOVE to have a dog, and my kids are already totally attached to the sweet man, alas, keeping him long term is not an option. Financially we are NOT in a place to afford vet bills and food for him, so I just feel it would be irresponsible. Which hurts my heart, because my kids beg for a dog daily. My oldest (13) has even asked if she could get a job to pay for the dog. HA HA! Um, no. A sweet local lady is bringing us by some dog food and a collar for him today, and we’re going to try to get him in for a vet to check for a microchip tonight.